Recommended for ages 8 and up. Must be 42" or taller to drive these bumper cars. 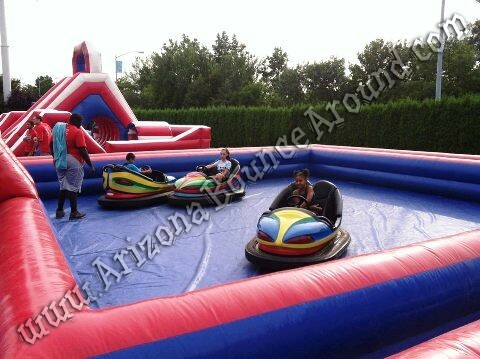 Leave it to Gravity play Events to have the most unique Carnival Rides in Colorado like our Inflatable Bumper Car Arena that can hold up to 6 bumper cars big enough for adults to ride. Rent our battery powered Bumper Cars for your next party or event and watch the excitement as people crash into each other. 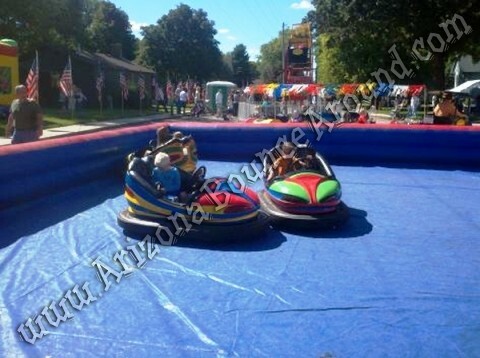 These are the same type of bumper cars used at fairs and carnivals around the world only battery powered. 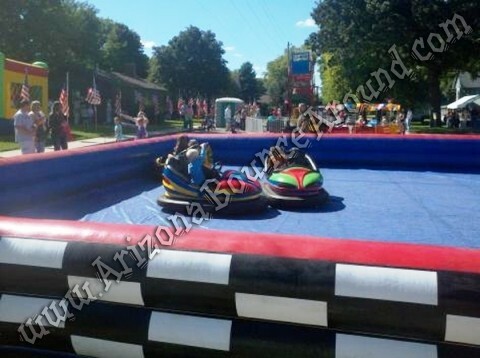 That’s right; you can have bumper cars at your party or event and turn the parking lot, gym, basketball court or cul-de-sac into a bumper car arena. 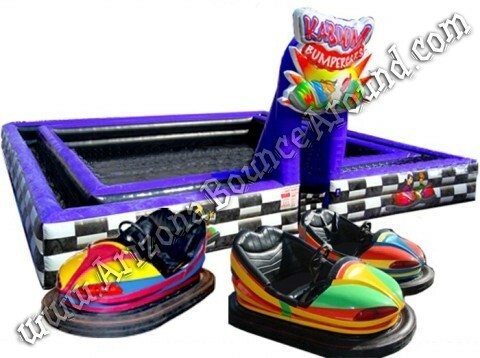 OUR BUMPER CARS REQUIRE A HARD, FLAT LEVEL CONCRETE TYPE SURFACE FOR USE. NO GRASS OR SOFT SURFACES !! 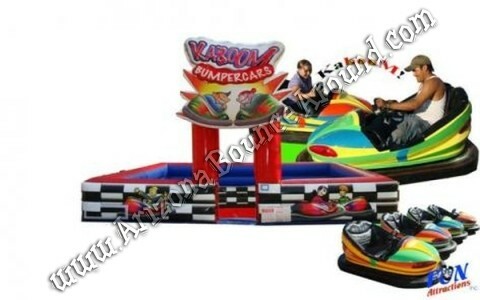 Our bumper cars can be set up indoors or out and grass areas require subfloor to be installed for the bumper cars to work. It's very important for us to know the surface type to give you an accurate quote. 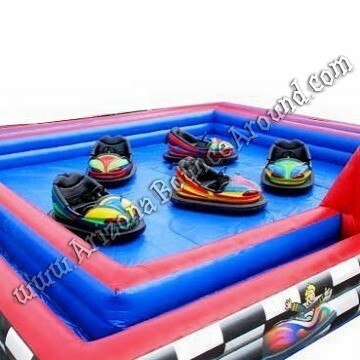 Our Inflatable Bumper Car Arena is 35' x 35' much bigger than average inflatable bumper car arenas so please make sure to measure your area to make sure you have enough room. We require at least 45' x 45' to operate plus room for the lines.